Get latest Kingdom キングダム 516 Spoiler or Discussion at mangaspoiler.com. if you would like to discuss the Kingdom Spoiler or prediction, please leave a comment below. Kingdom 516 Spoiler is not available yet. We will update this post as soon as he spoiler is out. Have you read Hunter x Hunter? Or found another series to read? I’ve reached chapter 190 HunterXHunter. NGL? Just keep reading, things will getting better when they fights The Ant King “Meruem” and his royal guards. The battles are great! What does NGL mean lol? Neo-Green Life, the state where Chimera Ant arc takes place (Chapter 190). Anyway, why do you think it might disappointing you? What is the weakness of this series that makes you think so? I’m saying that if it doesn’t get better I would be very dissapointed because this series was given tooo much praise to only be at this level. It doesn’t touch ur heart the same way OP does not is it as diverse. The goosebumps, excitement, hype, and hunger to read more which u find in Kingdom is leagues ahead of what I’ve seen so far of HunterXhunter. do u think kaneki is going to die in this ark? all I’ll say is the way things unfolded last arc hints towards Kan Ki dying soon. Special Unit: A unit led by Kyou Kai which answers only to me and my Vice General partaking in special missions which differ greatly depending on the situation. You’re right. I’ll replace Sho Hei Kun for Mou Ten as my strategist. That would be cool but Kyou Kai will become a Great General in her own right. She won’t be Shin’s lackey forever. The only criticism I have for the current arc is the lack of Kyou Kai. We need more Kyou Kai and less Ten. Especially if she’s going to be annoying, and all the more so because she called Ou Sen’s plan foolish. Not that many words this chapter so that mean’s lots of fighting. It starts off with both receiving news transmitted almost simultaneously with both armies. They’re both told what Ousen did and the strategy behind it and how it’s a war of grain who run’s out of food first. A Zhao soldier states finally we can start. Their’s a flashback of Riboku telling the messenger warnings to pass along to KoSonRyuu talking about the mountain tribes that relieved Sai five years ago. Their are many mysteries except that it has overwhelming attack power. Their way of fighting may be outside the common sense of the people of the plains. Their is a danger of suffering a lot of damage if you start fighting with the momentum on their side. Riboku’s order is for KoSonRyuu to wait for reinforcements from Ryouyou before engaging the Yotanwa army. The elites from Ryouyou should be there in half a day. The soldiers can’t believe they have to wait because of the difference in numbers in their favor. They wonder just how powerful are these barbarian’s. KoSonRyuu gives the order to assume attack formation and be prepared to get started the moment reinforcement’s arrive. Scene switches to Yotanwa army. She is told the message of Ousen’s plan and the current situation. She is also told she will be getting 10k reinforcement’s. Yotanwa order from Ousen is to not let the Ryouyou army past them so they could relieve Gyou from it’s predicament. Yotanwa is carefully studying the battlefield while being told all this by the messenger and looks uninterested. Yotanwa state’s well it’s time to get started and her army start’s roaring. The Chieftain and Bajio have a conversation about the tribal patriarch system and why all the chieftain’s now follow Yotanwa. Yotanwa who was supposed to be protecting from this army from getting to Gyou is suddenly attacking which shocks the Zhao army commanders. 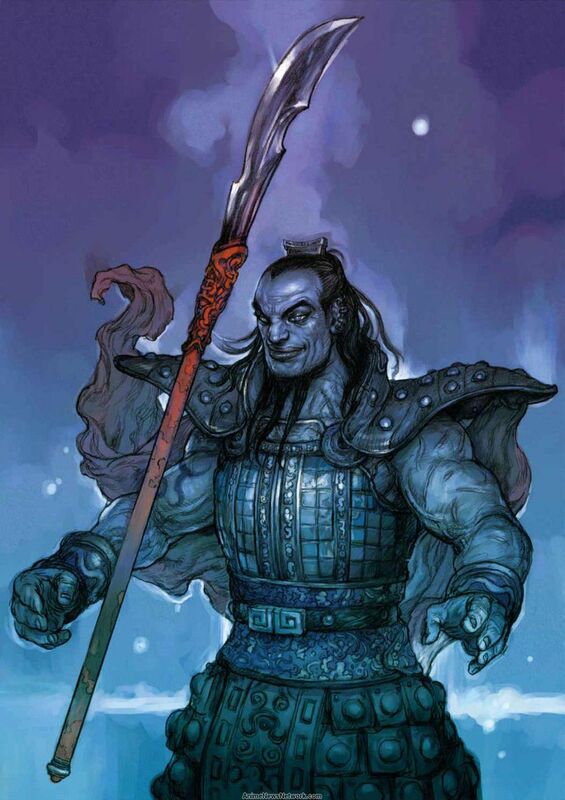 The destructive power of mountain people was several times higher than forecast and the Zhao commanders are shocked. As Yotanwa’s army is breaking through from the left and right, KoSonRyuu call’s for reinforcement’s to be sent to the front quickly and say’s this is bad. Scene switches to the Hi Shin Unit. The ending is where shin is asked what’s wrong. What are you looking forward to most in this arc? Any predictions for next chapter? Battle is heating up guys!